Despite the uptake of BPM across the business spectrum around the world, there is still some confusion on how BPM works and what is expected of it. 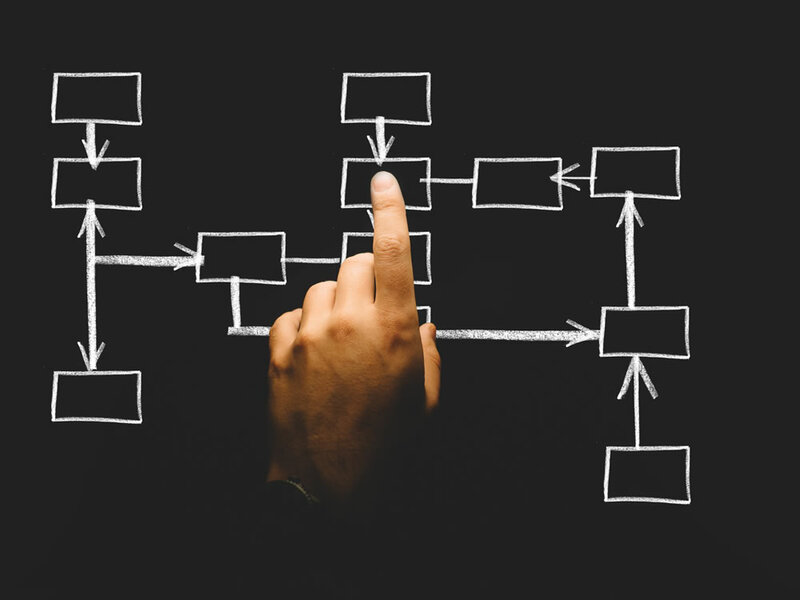 Over the past years, the term Business Process Management has become somewhat of a buzzword, and we do hear a lot of different definitions of what this discipline should be about. Some may define it as automation, others as process mapping, still others maybe something different altogether. Rather than restricting BPM to the confines of an ‘improvement method’, a ‘software system’ or of ‘knowledgeable people’, we should see BPM in the light of its capability to combine these three (and more) to produce value for the organisation. As to what BPM does, we can then move on to specify that BPM is a capability that identifies, designs, documents, monitors, optimises and assists in the execution of an organisation’s processes. And how is this capability achieved? For BPM to take root and be effective, one needs enabling policies, methods, metrics, roles and technologies. This is a tall order indeed, and that is why doing BPM well is challenging, takes time, and requires particular skills and managerial qualities from those who lead it. In recent years, we have been seeing the emergence of the concept of Intelligent Business Process Management, otherwise known as iBPM. Again, we are in the presence of another evolving concept. The differences between BPM software and iBPM software are few, as one is the extension of the other. BPM is a tool used for designing and executing business processes, whereas iBPM is a subcategory of BPM that leverages BPM’s analytics and intelligence capabilities. What renders iBPM more complete as a concept, however, is that it combines BPM with a decision management strategy that allows for rules-based and analytical decision-making to be embedded in a process, adding in the ingredients of analytics and big data to established BPM methodologies, and giving BPM that added dynamism. Finally, we need to keep in mind what does not represent the totality of BPM. BPM is not just automation and it is not just about technology. It certainly isn’t something that should be confined to the IT Department. Essentially, effective BPM requires bringing together the people who will be driving the change, with the methodologies and BPM tools, including technology, which will facilitate the process. All this should be spurred by a vision with clear goals and strategies, with a BP champion to lead the effort within the team or the company. These champions, or leaders, need to ensure that the right transformational, operational and technical competence is in place across the BPM programme team, in order to improve cross-functional performance and achieve the set goals. They also need to communicate effectively how BPM projects will dovetail with strategic business outcomes, so that process participants can understand and appreciate the benefits. Ultimately, these champions and BPM practitioners will prove critical towards crafting a discipline with the same characteristics of flexibility, transparency and adaptability that corporate businesses wish to establish by utilising BPM. Many of today’s management veterans remember the days when processes were stored inside people’s heads. Apart from the inherent inconsistency in execution this generated, time was wasted creating and conveying information. Work got done, but productivity was much lower than it is now, and unfortunately, more undesirable incidents such as errors, injuries and other ‘mishaps’ occurred. Since those early days, we have seen great strides in new technology and approaches to management that have transformed the ‘process landscape’. These spurred the evolution of a customer-centric and process-centric approach to improving business results that has come to be known as Business Process Management (BPM). How did this evolution occur? By the mid-1980s, the business world was witnessing two important developments that gave a jolt to process thinking. First, personal computers were heading towards widespread use as a tool that would greatly decrease the cost of producing and conveying information. Just as importantly, we saw the emergence of Total Quality Management, or TQM, which led to the widespread adoption of quality improvement initiatives within organisations. In the 1990s, Enterprise Resource Planning (ERP) systems, and the discipline of Supply Chain Management, once again changed the process landscape. ERPs led to the embedding of transactional processes into computer programmes, and Supply Chain Management led to thinking about planning processes that required communications in data flow across organisational boundaries. By the beginning of the new millennium, both the Lean Six Sigma methodology, that relies on a collaborative team effort to improve performance by systematically removing waste and reducing variation, and the concept of Operational Excellence, with its envisaged rigorous attention to processes, would have a strongly positive impact through the following decade. The latest pieces of the BPM puzzle began coming together with the introduction of commercial BPM software products. The evolution of BPM technology, like most technology, has happened quickly. Within the industry, we have seen great strides and early adopters who have undertaken the exploitation of such ‘capability building blocks’ and have come along on that journey to see truly revolutionary advances. Meanwhile, BPM and BPM tools, or BPMS as they are commonly known (Business Process Management Suites) continue to evolve as a result of organisational demands to increase process definition flexibility, rapidness to evolve, and to meet ever-increasing quality demands in a timely and proactive manner. As more enterprises look at streamlining processes and building leaner, more efficient business models, so must BPM technology become more effective and responsive to such changing demands. By signing up for notifications, I agree to receive commercial informationfrom Beat. I can withdraw my consent anytime and the data will be processed until the consent is withdrawn.